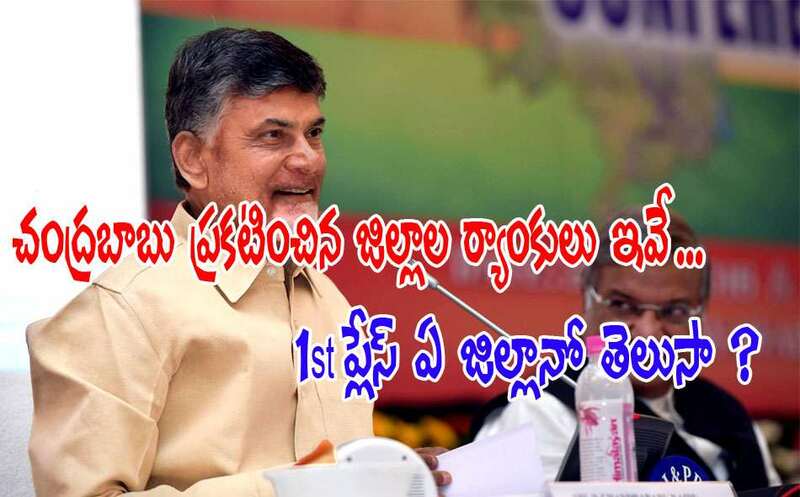 Chief Minister N Chandrababu Naidu on Thursday announced the rankings for the districts. Speaking at the collectors' conference on the second day, Chief Minister said that the ranks were given basing on the growth rate. Visakhapatnam secured the first place followed by Krishna. The other districts include West Godavari, Nellore, Guntur, Prakasam and East Godavari, respectively. They were followed by four Rayalaseema districts Chittoor, Kadapa, Anantapur and Kurnool. Despite Visakhapatnam topping the list, the other north-coastal districts, Vizianagaram and Srikakulam remained at the bottom.